Why Would Our Organization Want to Use Behavioral Style Profiles and Performance Assessments? 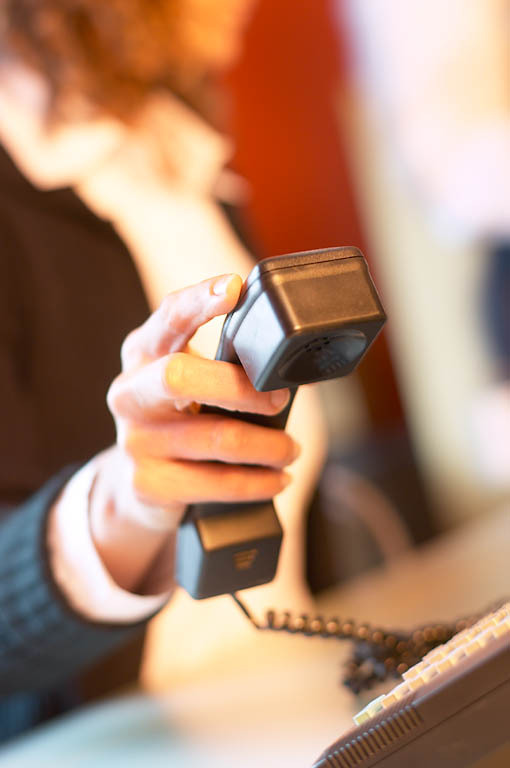 Communication has long been a cornerstone of a successful business. Simply stated, it can make or break your organization. However, with the diverse array of communication styles, most businesses find it difficult to ascertain and implement strategically effective customer and employee communication systems. Using the best behavioral analysis tools allows you to meet and overcome your biggest people challenges. DISC Behavioral Profiles are focused on increasing knowledge and awareness. People learn more about themselves, their blind spots, their developmental gaps and their strengths. They also learn how they are perceived by others, since perception is reality - this is key. Through these in depth assessments, you will be armed with powerful tools that can be used to develop leadership skills, improve colleague relations, improve employee-manger relations, strengthen customer service relationships and improve client-sales relations. Related: What is an advanced DISC behavioral Style profile? While, the typical American company bases 80% of their hiring on the hard skills of the person...education, training and experience...85% of their turnover is due to behavioral incompatibility. Sure, when a person is hired they may be able to do the job, but with time you discover that they don't seem to perform and are not thriving in the position. The problem? They simply are not motivated to take on their role. We can help you develop a behavioral understanding of the style of the job itself and the optimal work environment for a person in that position. The closer you prospect's style meshes with the successful natural style of the job the better fit will be achieved. An ideal profile can be developed of the job to hire employees who will thrive (not just survive) doing what they naturally like to do best. When you assess both the job and candidates, you increase you information and objectivity to produce better decisions irrespective of race, gender or other factors. Considering the high cost of turnover associated with employee hiring, training and development, it is in our clients' best interests to be sure the position is suited in all aspects to the job candidate and vice versa. Our approach and software are validated and EEOC/ADA compliant. Evaluate each of your top candidates to learn how and whether they will achieve success for your organization. In today's competitive climate, a focus on behavioral style is key to optimized performance, winning relationships and effective communication. Intra-personal Miscommunication: that is, people who don't accept their weaknesses along with their strengths. Their "blind spot" can be highly counterproductive if that weakness is job-related. Individuals working with people having these "blind spots" usually must compensate for those weaknesses. DISC behavioral style profiling gives insights that enable people to maximize their strengths while adapting, compensating for their weaknesses and meeting their challenges. Inter-personal Miscommunication: that is, not understanding nor appreciating styles different from our own. This is type of miscommunication can wreak havoc on manager/employee relationships and team building plus encourages personality conflicts and counterproductive office politics. We will equip you with an understanding of how different styles prefer to be treated, including guidelines on what to do and what NOT to do in communicating and managing. When individuals understand how to adapt their style to the styles of others, it increases effective communication and promotes an atmosphere of mutual respect. 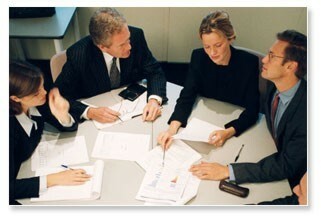 We also will provide you with methods for developing teams around synergy of the strengths of each style. Job Miscommunication: that is, not understanding what behaviors are optimal for a position or role on a team. This disconnect may be on the part of management, the employee or other team members. Most TQM endeavors are directed towards developing a consensus on roles. Unfortunately these programs often fail in the initial stages due to interpersonal and group dynamics...to paraphrase the line from the movie 'Cool Hand Luke' -- "What we have here is a failure to communicate." We can help you to create objective and valid descriptions of the behavioral demands of positions or the team role, and improve the communications between different styles in a group. We use the most up-to-date assessments available for business and personal development from Target Training International. Some assessments are self-scoring. Others can be administered by our certified analysts, or you can arrange to administer them yourself. But however you decide to use this valuable information, you won't be left floundering with another new "toy." We'll work with you each step of the way as needed to be sure your getting the maximum return on the investment in your most valuable asset: YOUR PEOPLE. Best of all, your initial consultation is free.